It's a beautiful place...when it's not raining and cold. 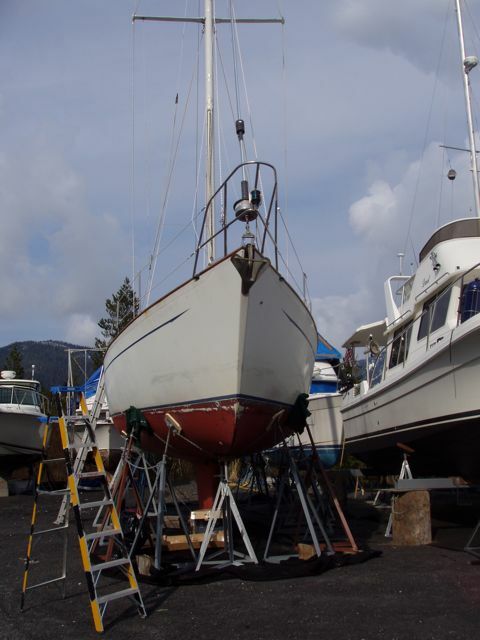 We began a long two weeks of work to prepare the boat for her trip down the remaining Inside Passage to Seattle, then on to San Francisco, our goal for leg 2. Wings, bow-on, in the yard in Petersburg. 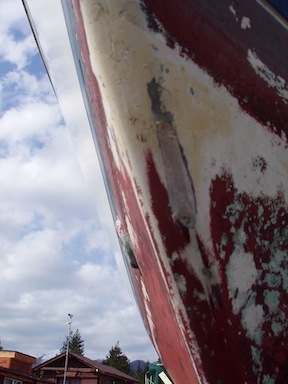 You can easily see the stains on her hull from rubbing on a buoy while riding out a storm. The buoy stains and the chipped bottom paint from pushing through so much ice! 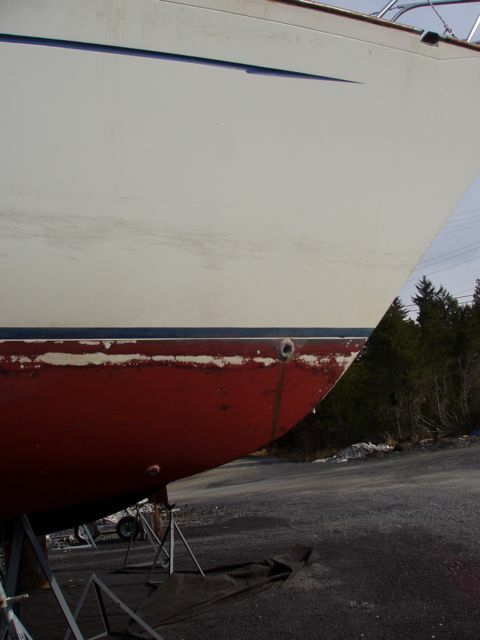 I had to repair some damage to the bow using epoxy: the ice had actually gouged the fiberglass! The lovely High Endeavors lying in the same yard. The vessel belongs to an ex-student of Bill's and his physician wife. 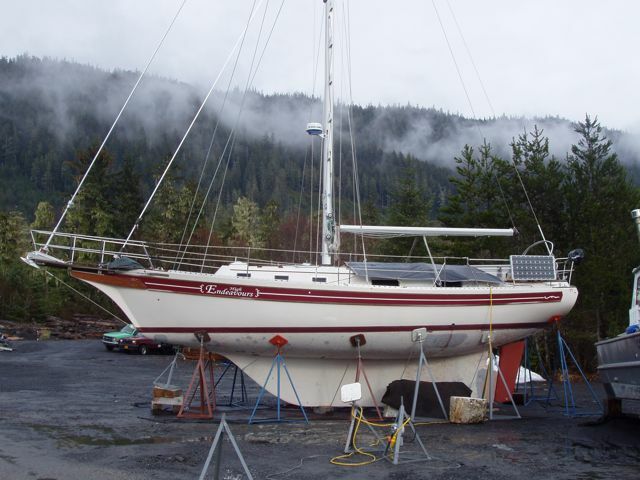 High Endeavors has beautiful lines and is large for a 38-foot vessel. The solar panels are cleverly attached so that they can swing upwards for better solar exposure, mounted on standard barbecue grill fixtures. 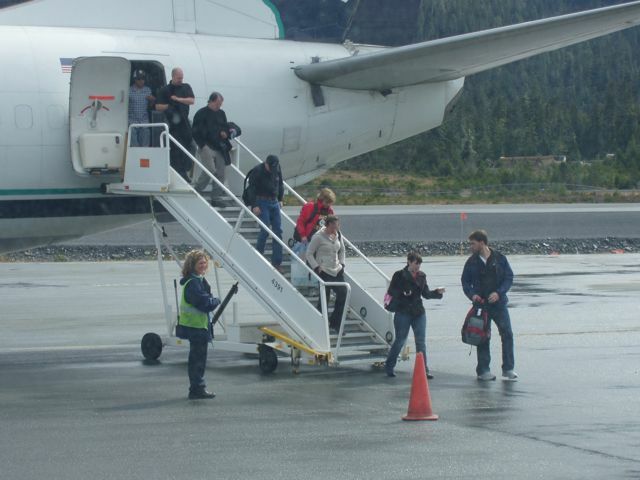 Chris and Jen brought the boat to Alaska from Portland. This is the zinc (6 inches X 3.5 inches) that I had machined to fit this tiny cavity on the bottom of the hull. As you can see, it fits nicely. 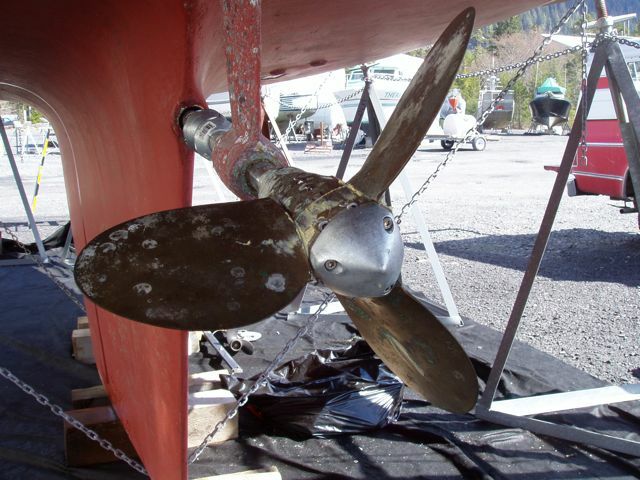 The machinist also removed enough material to fasten the nuts on the two bolts that protrude through the hull. 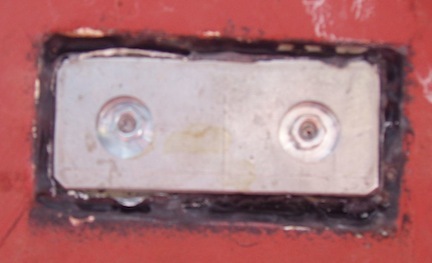 On the inside of the hull, the two bolts are fastened to the bonding system that prevents galvanic corrosion from eroding all the metal protruding into the salt water. This little zinc is important! Wings' bow showing the repair work I did on the ice damage. The gray area is actually on the port side (the right in this photo) of the bow line and is the epoxy resin that I used to fix the gouge. 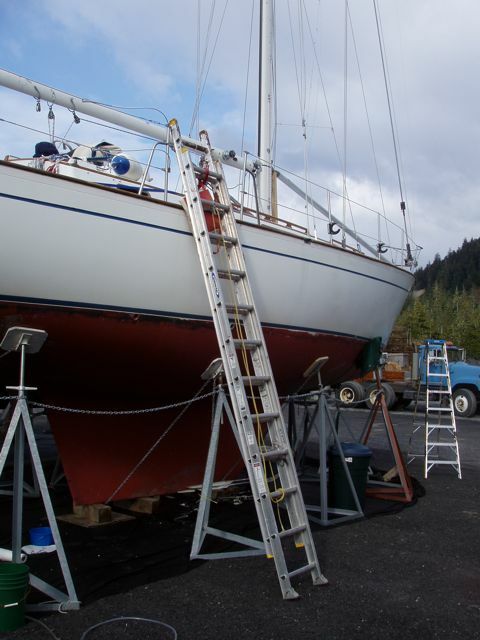 We'll repaint the hull at water line to make her pretty. Conni arrives in Petersburg! My sweetie is the woman in the red coat. I was SO glad to see her! How we get onto the boat. Steep, isn't it? We hauled all our groceries and gear up that ladder. Our newly maintained MaxProp. Note new zinc on the trailing edge of the prop center. The prop was disassembled and greased. You can see the shaft zincs that Conni installed.